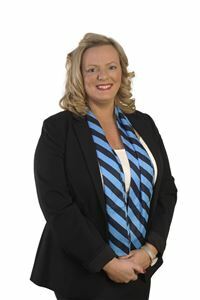 Claire joined the team at Harcourts North Geelong as our new Sales Administration Assistant in January 2011. Being born and raised in Hamlyn Heights Claire brings more than just her local knowledge but a wealth of expertise including over a decade of customer service experience, consultation, ability to train and manage staff, her drive for excellence and her passion for great social conscience. Claire has taken on everything Harcourts stands for and their beliefs; People First, Doing the Right Thing, Being Courageous and Fun & Laughter and has become an integral part of our sales team. Implementing and enforcing systems to only improve our clients experience with Harcourts and all with an infectious enthusiasm. Having started with no real estate experience Claire has strived to learn all she can from her peers as well as under taking many courses at the Harcourts Academy and also completing her Agents Representative course in 2011, in this year she was also awarded Administrator of the Quarter for Victoria. Socially, Claire has organised our “Team Harcourts” team to participate annually in the Cancer Councils ‘Realy For Life’, which in the last 2 years we have already raised over $15,000 for this great cause. Not wanting to stop there Claire is extremely enthusiastic about stepping into an even more active role with the sales team, as a Sales Personal Assistant to in turn provide you with the best service possible.